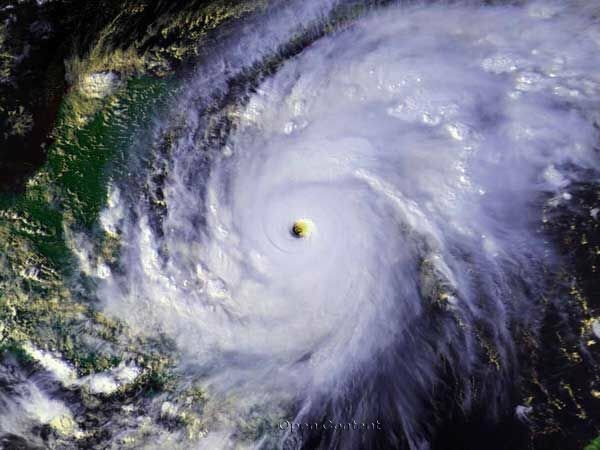 A well-known hurricane research team from the Colorado State University (CSU) in Fort Collins, Colorado, United States of America (USA), has released its initial predictions for this year’s hurricane season. The season begins on June 1st, and the highly respected team, who has been issuing tropical outlooks for the past 35 years, is predicting a slightly below average forecast with a total of 13 named storms, five hurricanes, including two major storms. According to the report from the CSU, the current weak El Niño phenomenon appears likely to persist and perhaps strengthen this summer or autumn. This means that sea surface temperatures averaged across the Caribbean Sea are slightly below normal, and the distant North Atlantic Ocean cooler. Due to this information a slightly below-average probability for the formation of major hurricanes is expected to affect the Caribbean regions and the continental USA. Residents of coastal communities are reminded to take the necessary precautions during the season that ends on November 30th every year. In the 2018 Hurricane Season, a total of 15 named storms developed in the Atlantic basin. Out of these 15 storms, eight developed into hurricanes with two of them becoming major hurricanes. While Belize fared well, the USA, Mexico, and some Caribbean countries sustained more than USD$33.3 billion in damages. The two strongest storms of the season were Hurricanes Florence and Michael, with winds of 140 and 155 mph and a minimum central pressure of 939 and 919 millibars, respectively. According to the National Meteorological Service of Belize (NMSB), the major factor that supported the above-normal activity in the North Atlantic was the presence of above-normal Sea Surface Temperatures. In the Caribbean and the Gulf of Mexico, the normal condition was supported by strong vertical wind shear. This made conditions less conducive for tropical cyclone development. Belize was lucky only to have two low-pressure storms that raised alerts at the NMSB. One of these storms evolved into Hurricane Michael. Michael was the second major hurricane of the season on October 9, 2018, as well as the third-most intense hurricane to make landfall on the USA regarding pressure. While the 2019 Hurricane Season is less than two months again, CSU has provided the names for the expected storms this year. The 2019 Atlantic Storms name are: Andrea, Barry, Chantal, Dorian, Erin, Fernand, Grabrielle, Humberto, Imelda, Jerry, Karen, Lorenzo, Melissa, Nestor, Olga, Pablo, Rebekah, Sabastien, Tanya, Van and Wendy.